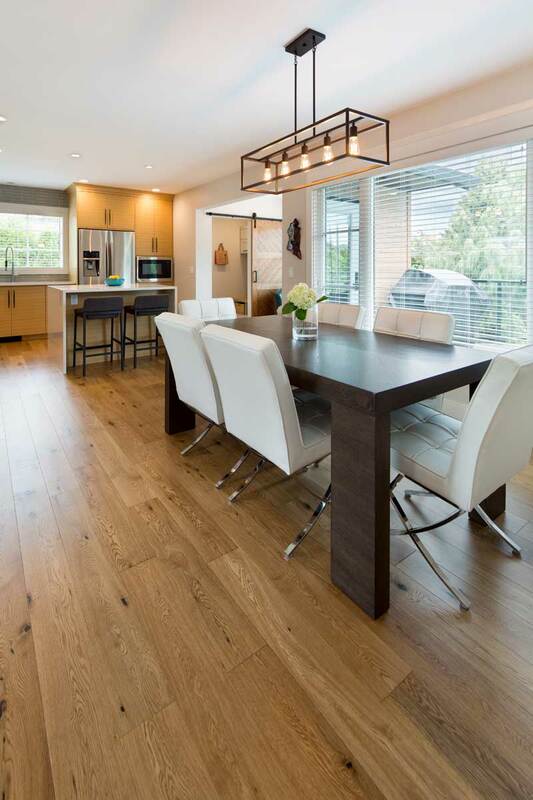 At Okanagan Hardwood Flooring, we know that knowledge is key in deciding which hardwood flooring type is the best choice for you. There are two main hardwood flooring options – solid hardwood, which comes in both unfinished and prefinished, and engineered hardwood. Both have thousands of variations – colour, texture, width, finishing options – the possibilities are endless. Our sales team can help guide you in the right direction for your flooring project, and show you all the choices available to you. 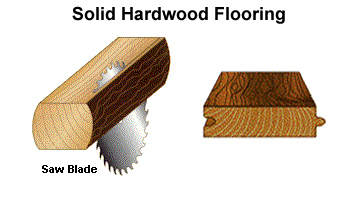 Plain Sawn or Flat Sawn – most common cut with many variations. Very economical, as most of the log is used. Quarter Sawn – cut at a radiant angle into four quarters, and then plain sawn. Results in a lovely straight grain that is highly sought after, but is a more expensive method as there is more waste. 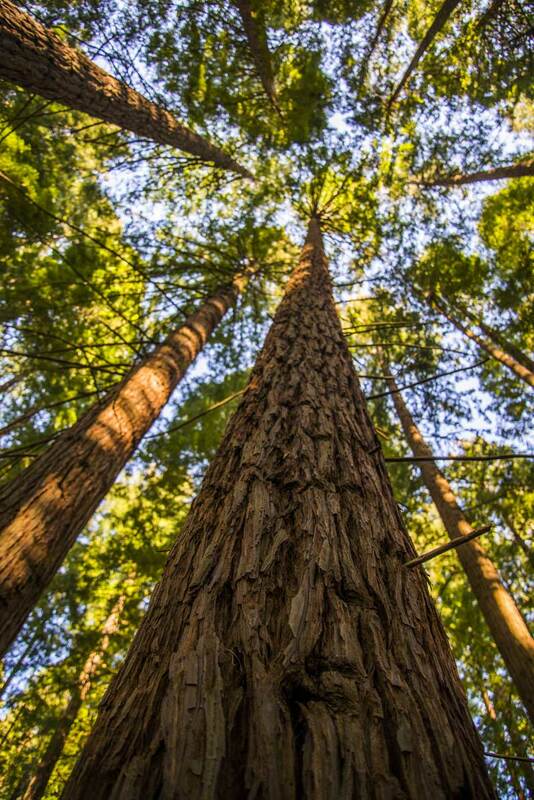 Rift Sawn or Radial Grain – each board is cut perpendicular to the growth rings of the tree, making it very stable. The most expensive cut, as there is a lot of waste. Boards are planed on all sides to smooth out the saw marks and even out the wood plank, and cut in various widths from 1 1/2” up to 8 or more inches. Length can vary as well, from 12 inches up to 84 inches, depending on the product. 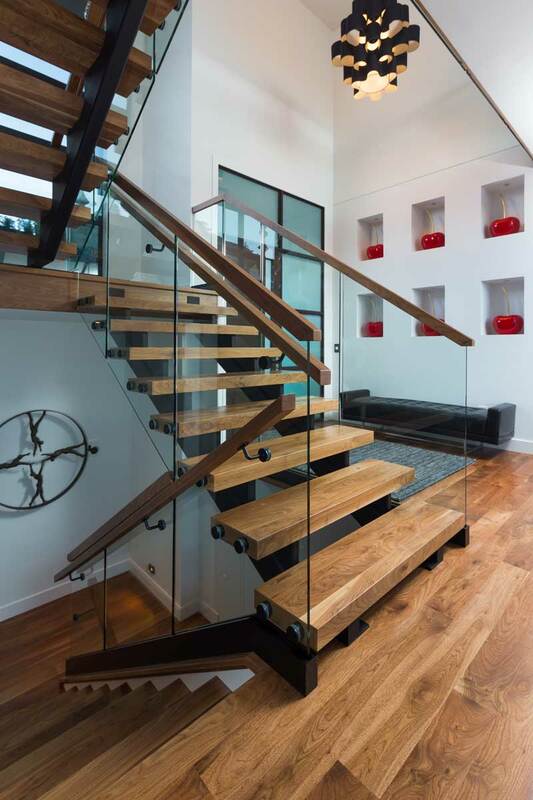 Solid hardwood can vary in thickness from 5/16” to 3/4”. Tongue and groove cuts are made in the boards to ensure a tight fit, and allow for expansion and contraction. Solid unfinished hardwood is then packaged and delivered to the supplier. Sanded and left unfinished for coating on site. Finished with a wide variety of coatings and methods, and varying degrees of gloss levels. Textured by many methods, including scraping, etching, wire brushing. Wide Plank solid hardwood flooring is 3/4” thick, and made for above-grade installations and require a subfloor. Widths above 3” up to 18” are considered wide plank flooring. CLEAR GRADE – very little to no colour variation or visible knots, no splits. Minimum length of 12 inches. SELECT AND BETTER – a combination of clear and select grades of wood. Slight variation in colour with limited character marks and sound knots. No stains or splits allowed. Minimum length of 12 inches. #1 COMMON – all variations of colour allowed with sound knots, character marks and mineral streaks allowed. No splits or holes allowed. Minimum length of 10 inches. #2 COMMON – very rustic in appearance. All variations of colour and characteristics of the species allowed. Knot holes, splits and other imperfections must be filed and finished. Minimum length of 10 inches. From 2 – 12 multiple plies, or thin sheets or wood, are laminated together by cross layering to form one hardwood plank. The inner core layers are built up with either hardwood, plywood or high density fiberboard. The cuts for tongue and groove engineered hardwood are made in this layer. Some manufacturers opt for a “click-lock” system of joining. The top layer, or lamella, is a veneer made from solid wood. 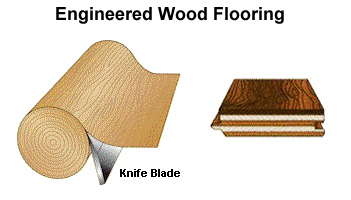 Many manufacturers make engineered hardwood that can be refinished. Generally, if a veneer thickness is less than 2mm, or has a textured finish, it cannot be sanded and refinished. Finishing treatments vary from acrylic impregnated, UV Cured, wax, oil and surface finishes, as well as an unfinished product that can be site finished. Gloss levels from satin to high gloss are available. Many manufacturers create unique textures by hand scraping, wire brushing, etching, fuming and sculpting. Produced in a variety of thickness levels, which can make for easy transitions between multiple flooring surfaces. 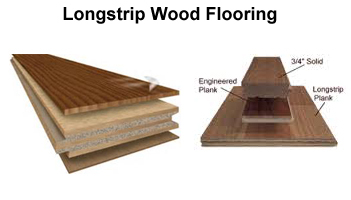 Longstrip wood floors are 86” in length and 7 1/2 inches wide. The finished layer will generally be made up of a series of three rows. Also, referred to as “floating floors”, most can also be glued or stapled down. Wide Plank engineered floors are usually made with a thick layer of real hardwood, bonded to multiple layers of plywood to create a 3/4” thickness. Widths above 3” all the way up 18” are considered wide plank. With engineered hardwood, the grading process is guided by the qualities and look of the wood, similar to that used for solid hardwood. But each manufacturer has different names to denote these differences. Clear or Select and Better may be called “Estate” grade, and #1 or #2 Common may be called “Rustic” or “Country” grade.